Frederick Carlton Lewis was born on July 1, 1961 in Birmingham, Alabama. His parents William and Evelyn Lewis ran an athletics club in their neighbourhood which was where Carl and his sister Carol began their athletic training. His parents pushed him to try out athletics at a young age. 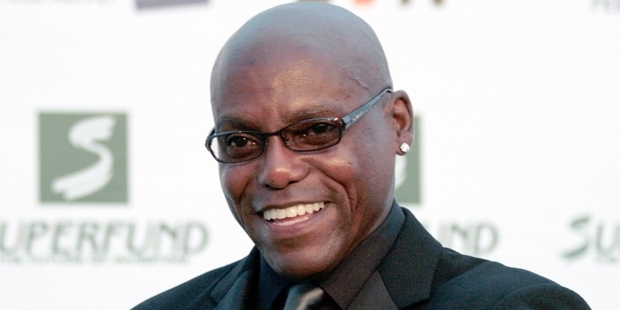 He attended Willingboro High School In his hometown of New Jersey. By the age of 13, he was already recognised among the best long jumpers in New Jersey. 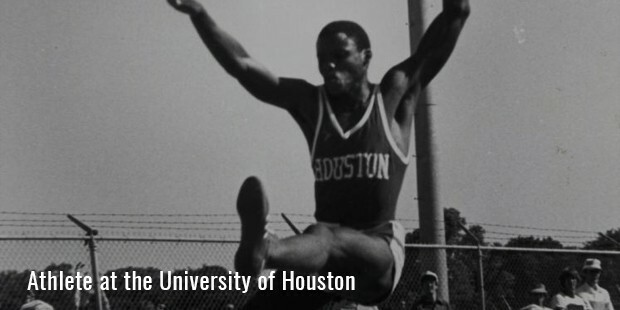 As soon as he reached his senior year he was able to reach close to Olympic qualification mark.He enrolled in University of Houston and decided to train under Tom Tellez who would go on to be his coach for the rest of his career. 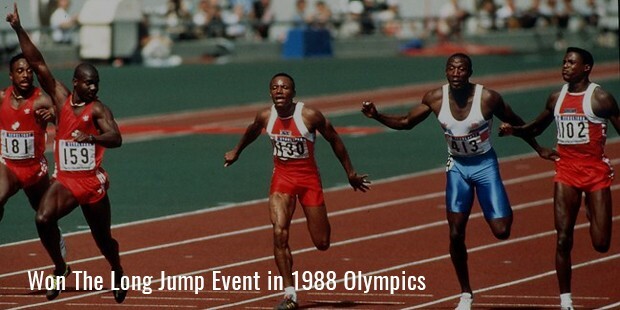 In 1979, years of hard work paid off when Lewis broke the high school record with a jump of 8.13 m. This got him an opportunity to be part of the 1980 American Athletics team. 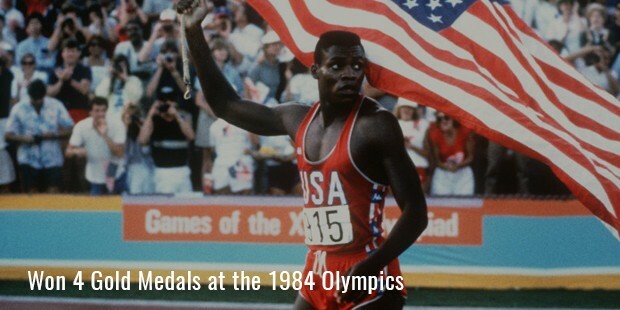 Due to the 1980 boycott of the Olympics by the U.S., Lewis did not get a chance to showcase his skills to the world. But that year he got his chance at the Liberty Bell Classic competition which was an alternative meet for boycotting nations. Here he participated in both long jump and the 4x100 m events. In the long jump event, he jumped 7.77 and got the bronze medal whereas in the 4x100 m, their team won the gold medal with a time of 38.61. With these performances Lewis had instantly become one of the most valuable athletes in America. In 1981, he improved his sprinting timings by running at 10.00 s and in 1982 he improved his high school long jump mark to 8.62 m. By now he was the best sprinter and long jumper in the world. In the 1984 Olympics, Lewis was the favourite to win in both the 100m and the long jump categories especially as it was being hosted in his home country U.S.A. Carl Lewis had his eyes on equalling Jesse Owens record of winning 4 Gold medals in a single Olympics. In the 100m event, he ran a time of 9.99 s and won the gold comfortably. In the long jump event his first jump itself was 8.54m which was good enough for the Gold. In the 200m event, he set an Olympic record with a time of 19.80s grabbing his third Gold medal. In his last event his team went on to set a world record time of 37.83s helping Lewis win his fourth medal. Lewis had become one of the most celebrated athletes in the world with his Olympic performances and also his performances in the World championships. 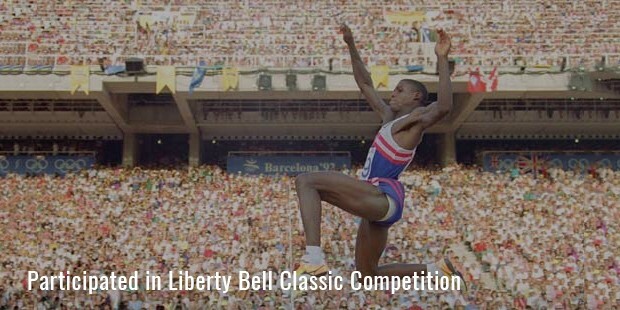 In the 1988 Olympics, Lewis went on to win the long jump event with a jump of 8.72 m. In the 200 m, Lewis came second trailing by 0.04 s. In the 100m again he came second with an Olympic record of 9.92 s but when Ben Johnson tested positive for steroids, Lewis was awarded the Gold medal. This capped another successful Olympics for Lewis. In the 1991 World championships, he set a World record in the 100m with 9.86s and in 4x100m with 37.50s. In the long jump event he came second jumping his personal best of 8.87 m just 0.08 m behind the World record. 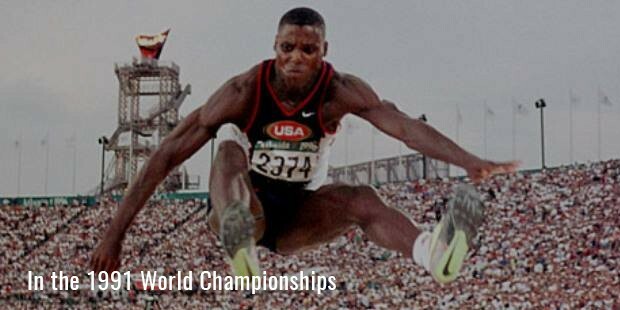 In the 1992 Olympics, Lewis won the 4x100 m with another world record and won the long jump event with a jump of 8.67 m. In 1996, Lewis was 35 years old and at the end of his career but he finished on a high by winning the long jump event with a jump of 8.50 m.
He became the one of only three Olympians to win an individual event four times. He ended up with 9 Olympic gold medals at the end of his career which makes him the joint second in the all-time leaders list. He has been named the ‘Sportsman of the Century’ by the International Olympic committee and the ‘Olympian of the century’ by Sports illustrated magazine. 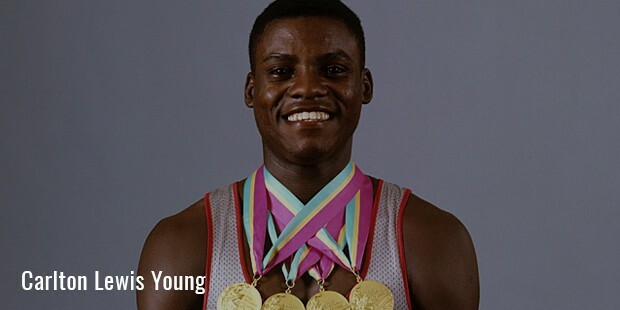 Being a dreamer, Carl Lewis has etched his name into the history books and into the people’s mind as one of the greatest athletes of the 21st century.